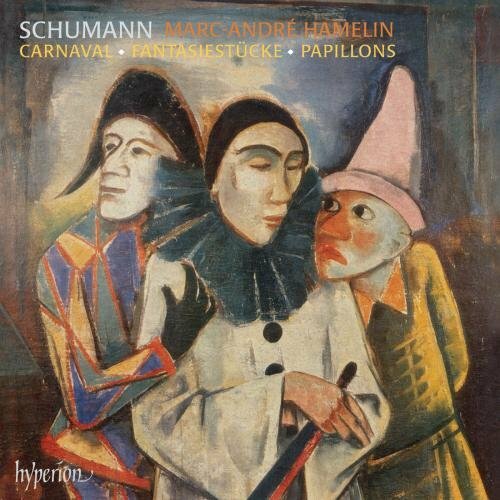 Does anybody know anything about MArc-André Hamelin playing Schumann Carnaval; Fantasiestücke; Papillons? Many people seem to be prejudiced towards Hamelin when it comes to the "standard" reptoire, such as Schumann. However, I think you have nothing to fear with this recording. I enjoy it very much myself! I agree. I quite like it. And from my point of view it is one of the worst Schumann recordings I have ever heard. Hamelin really doesn't understand Schumann as human being and doesn't have any idea about Schumann's life. I he would have he would never play in this unemotional and cold way! I have to agree with this. It got worse with each listen. I finally sold it. Somewhat contrary to my expectations, his new Haydn set is quite good. 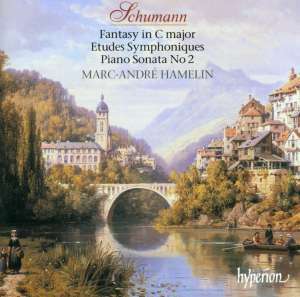 I find Hamelin's Schumann okay, and I have kept his two discs. But he's a long distance from being the 1st Schumann disc I play when in the mood for this composer. As Ragman indicated, Hamelin doesn't have much insight about Schumann, as he tends to shoot in the dark. My remarks are really against his Schumann, not against Hamelin in general. He has fore sure some very good recordings but some are not so fine.